Sipping some Coco Mate tea from ride sponsor Café Mate at my campsite at the Hitchin’ Post Campground in Wray, CO this morning. Another beautiful fall day, but glad to be out of the blazing sun for a change. Going to spend a down day here to resupply and catch up with blogging and video editing (they’re starting to pile up). Perfect set-up here for doing a little work. My site has a picnic table with a roof for shade, internet access, electricity, drinking water and hot showers. 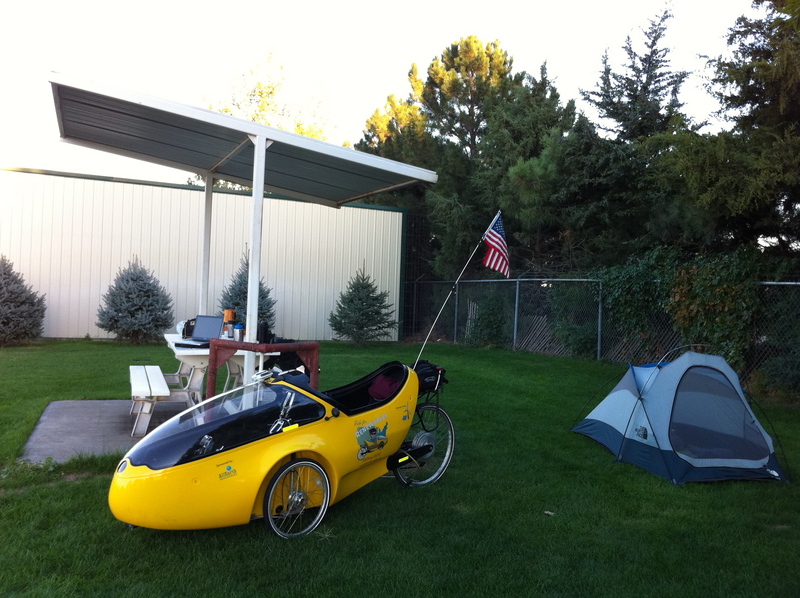 This entry was posted in 2010 Ride, Blog and tagged colorado, ride for renewables, wray. Bookmark the permalink.